Impress your dinner guests with this electric single oven from Neff. As it’s a multifunctionalmodel, you’ll have a range of exciting cooking options to get creative with at mealtimes. It has a 71 litre capacity too, which makes it an ideal choice for large households. 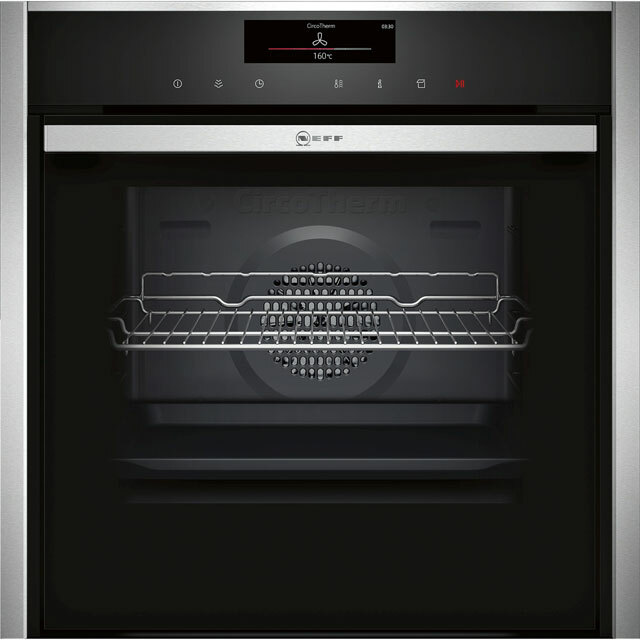 The CircoTherm® technology allows you to cook different dishes on each shelf, without transferring flavours – so you can prepare your main course along with dessert. When you’re finished creating your masterpiece, the EcoClean ceramic coating absorbs greasy splatters, which are then burned away as you cook. This model is designed to fit at eye level or under a worktop.